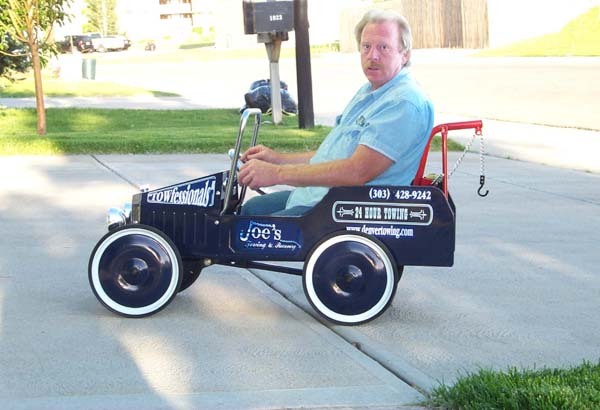 Joe Porath began his towing career in 1973 working for Sherrelwood Amoco and later, for Vern's Amoco in the North Denver area. He bought the business in 1986 and (with the aid of his lovely wife, Jackie) has expanded the operation as "Joe's Towing and Recovery". Joe's Towing and Recovery is proud to be the contracted towing facility for the State of Colorado DOT fleet, as well as several others. We tow for several large trucking companies and we will tow large rigs locally or cross country. Joe's Towing and Recovery is also under contract to most of the North Area Police agencies, including the Colorado State Patrol. Joe's Towing and Recovery also has car transport services available, as well as any private towing - Short or long distance. Joe's Towing and Recovery maintains a professional, well trained and courteous 'crew' to help you when you need them most.